Josh Groban Is Heading To "The Office"
Josh Groban has a date with "The Office." 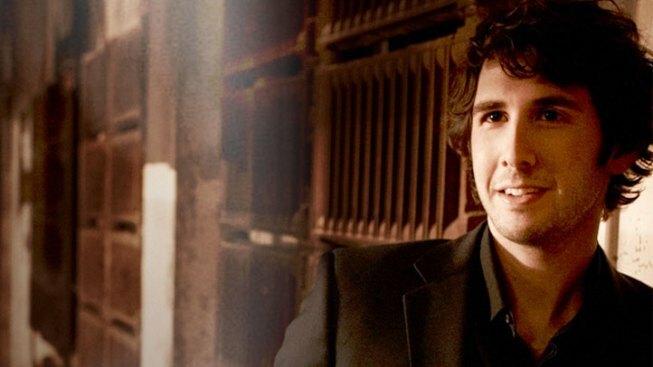 Josh Groban is heading to "The Office." On Thursday, the tenor dropped a hint via Twitter that he was involved in the show. "The cast and crew of The Office are the coolest ever. #allimgonnasay," he wrote. Now, Access Hollywood has confirmed Josh will play Walter Bernard Jr., the brother of Ed Helms' character, Andy Bernard. Josh joins Stephen Collins, who will play Andy's dad Walter, and Dee Wallace, who will play his mom Cindy Bernard, NBC previously confirmed to Access Hollywood. The airdate for the Bernard family episode of "The Office" is still to be determined, NBC told Access on Wednesday. "The Office" returns for its first season without Steve Carell on September 22 at 9/8 C on NBC. Josh played himself on "Glee," and recently played a lawyer in Steve's latest box office film, "Crazy, Stupid, Love."